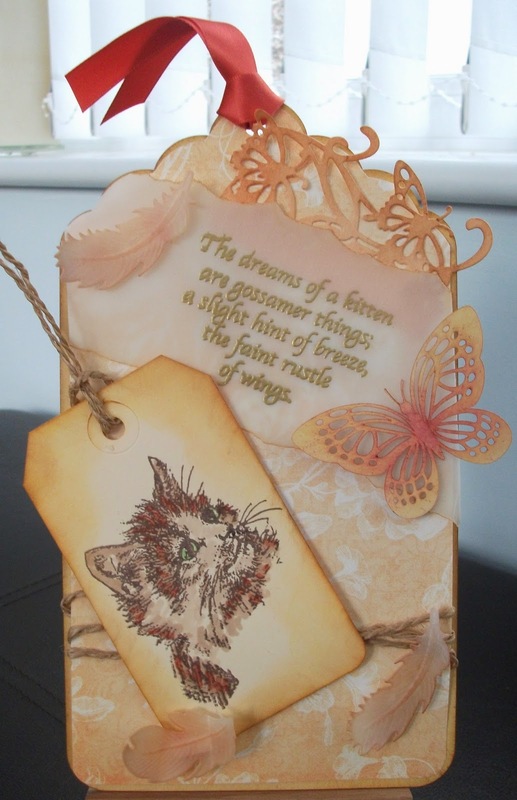 The next challenge #121 is being sponsored by the lovely talented Beth and she has chosen Pets as the theme. Suddenly realised I needed to get a wriggle on to meet the deadline because in two weeks time we have visitors arriving from Australia & America. We haven't seen them for 30 yrs so you can imagine we have a lot of preparations to do. 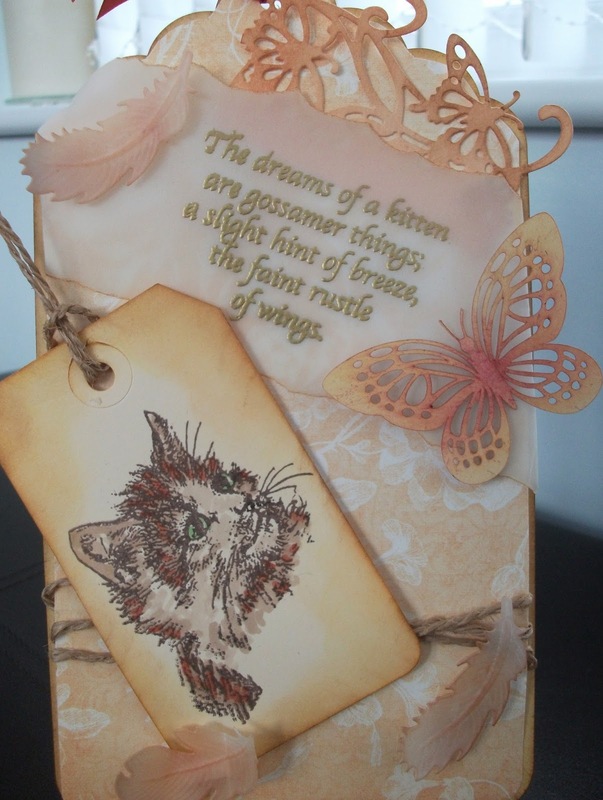 I decided to go with one of my favourite Clarity stamps of a kitten and it has a lovely sentiment stamp with it. Growing up we had various cats, we loved them all but they were very independent not like our current pet Jasper a black Labrador who loves his creature comforts and human company. Then it was just a case of what went where ... here is a closeup. What a lovely tags, the soft colours are just perfect. Wow Superb tag!! Love the vintage appeal....Great sentiment with kitten image:) Enjoy your time with friends!!!! Oh Annie this is so lovely!!! What a beautiful sentiment and image...your tag is gorgeous!! I love the feathers and butterflies!!! Take care and enjoy your time with your visitors...it will be fabulous to see someone that you haven't seen for quite some time!!! Beautiful tag and I love the cat stamp.